Termite mounds have an ingenious built-in methane filtering system. The insects’ approach might help inspire new ways for humans to keep methane out of the atmosphere. Image credits hbieser / Pixabay. Termites, like cattle and other grass-feeding animals, work together with special bacteria in their gut to break down food. It’s a good deal — they get to dine on plants most competition can’t stomach — but it does produce a lot of methane during digestion. It isn’t really much of a problem for the mound — but it is for us. Methane is about 30 times more potent a greenhouse gas than carbon dioxide and a big driver of climate change. Termites are responsible for generating an estimated 1-3% of global methane emissions, around 20 million tonnes of the gas, each year. However, that’s a lot less than they’re actually producing. Their mounds come with built-in filtration systems that scrub methane before it reaches the atmosphere, a new paper reports. A team of researchers led by Dr. Philipp Nauer from the School of Ecosystem and Forest Sciences at the University of Melbourne reports that around half of all methane emitted from termites is broken down by bacteria within the mounds and underlying soil. Methane is a good source of energy and, as such, quite valuable to life, explains co-author Stefan Arndt, a Professor at the University of Melbourne. A group of bacteria called methanotrophs live in the soil and consume methane as their primary source of energy. Dr. Nauer’s team had to develop new techniques in order to accurately map how methane is processed in a mound. This task was especially difficult, he recounts, as “you have all three processes in the methane cycle – production, transportation, and consumption – at the same time and place,” making it hard to track individual steps in the process. Other difficulties arose from the properties of the mounds themselves. They’re never uniform structures, they’re porous (but not as porous everywhere), and they’re riddled with complicated networks of channels and chambers. As such, it’s exceedingly difficult to estimate the total volume of gas inside a mound. And the team needed to know exactly that exact figure in order to complete their study. The final step was to see how much methane the bacteria in the mound could consume. They injected one mound with a known amount of methane and ‘tracer gas’ (argon), then drew it out and measured how much methane was gone. On average, half of all the methane was consumed by methanotrophs. This figure was calculated from 29 mounds made by three different termite species, the team explains. “Some mounds were actually consuming methane from the atmosphere, and some mounds were massive sources, but throughout this whole scale, the percent of the methane that gets consumed is very stable,” says Dr. Nauer. The team hopes to use their findings to design new systems to keep our own methane emissions in check. The real challenge “is upscaling,” Dr. Nauer admits. 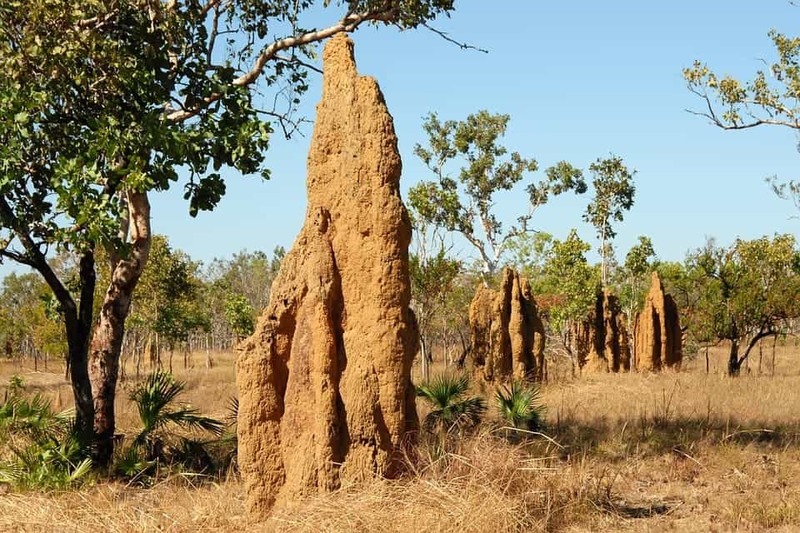 The paper “Termite mounds mitigate half of termite methane emissions,” has been published in the journal Proceedings of the National Academy of Sciences.